Sidel has collaborated with The Coca-Cola Company (TCCC) in the new “spiral” PET bottle project. The company’s 40 years of experience in PET packaging was instrumental in the successful rejuvenation of the Fanta brand and the challenges involved in getting it right. First appearing on shelves in the1940s, Fanta is TCCC’s biggest brand after Coke. 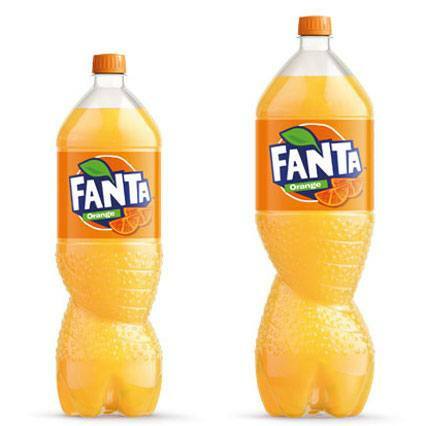 After years of success in the international soft drinks market, the Fanta Splash shape had effectively become owned by the beverage category rather than the brand. Consequently, Coca-Cola decided to develop a new proprietary Fanta packaging shape. TCCC involved Sidel in this design journey as an experienced supply partner and Sidel has qualified the new Fanta bottle for industrial production. The company’s expertise in PET packaging helped the customer overcome the deformation and stability issues presented by the new “spiral” design.